As much as I spend a lot of time on the internet cruising around local and international outdoor, hiking and bushwalking websites I am still surprised by what I miss. There is some fantastic (often free) resources available with great content is out there that has slipped under my radar. Wildwalks is one of these. 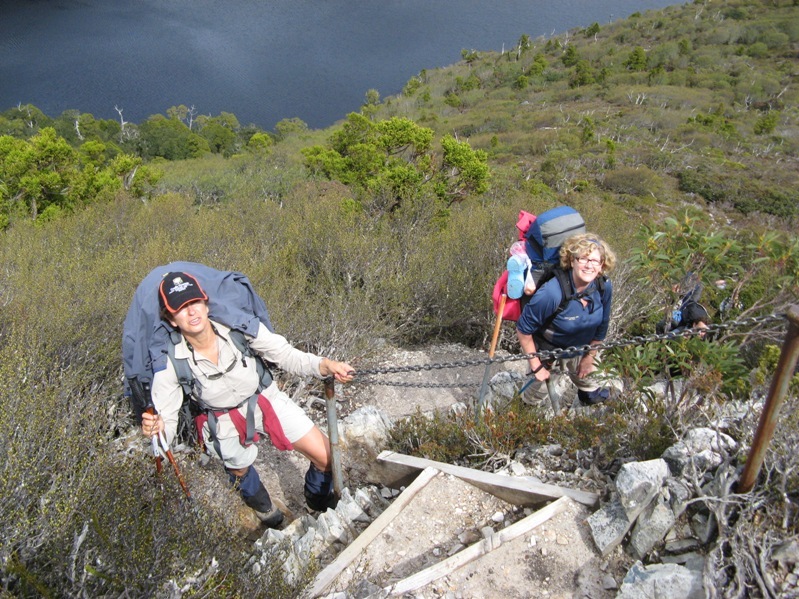 Wildwalks is a free online bushwalking and camping guidebook for NSW. There is currently detailed information on 938 walks, and more to come. My vision is similar to yours; I want a much great depth, breadth and quality of information on walking experience in Australia. I believe that the best way to protect our finite natural landscapes, is by encouraging more people to appreciate them. I know no better way to do this than by helping people have better experiences when walking in the bush. I was once told that “from small things, big things grow”, and silly me was surprised by this. But it did give me permission to start something small and see where it goes. 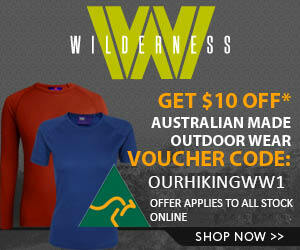 So, wildwalks was born based on a dream to build a definitive guide to bushwalking experiences in Australia. I am very conscious I am a looooong way from that goal, but this small thing is growing. So far we have documented over 900 walking experiences in NSW, mostly in the greater Sydney area and have around 1500 using the website each day. I don’t want to simply provide a list of walks, I want to provide a lot of specific information about lots of walks, so that people are better able to choose which walk is best for them. Recently we have started referencing our tracknotes, so when we say you walk ‘over a bridge’ you can click on the link to see the bridge, if you are scared of heights you can decide if it OK for you. Wildwalks runs as a small business, our costs are covered through sponsorship and advertisements. NSW NPWS is our biggest sponsor, and I have greatly appreciated their support, as well as the support of our other sponsors. I work full time on wildwalks.com and spend as much of that time as I can, walking and writing up the tracknotes. James spends his week walking and writing tracknotes, cool job hey :). My wife (Fi) also works a few days a week editing and cleaning up my (atrocious) spelling and grammar. 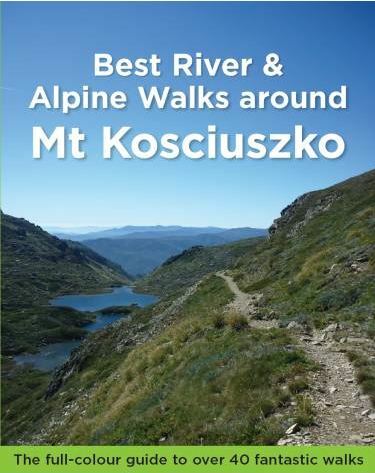 I can try to describe what this all looks like, but that would be silly when you can look for yourself, Have a look at a few walks in this list: Bushwalking and Hiking Kosciuszko National Park – South . Whilst there, check out the printable PDF (and the topo maps), click on a reference in the tracknotes, look at the terrain profile, scan through the photo gallery, and if you have done the walk, why not leave a note in the feedback section? We use the same basic template for all walks, so 10 minute walks and 3 days hikes look essentially the same. I am glad you asked, there is a long journey ahead. We have produced a couple of books and are currently writing a few more. These books showcase a collection of ‘best’ walks in a region. We have plans for better search, an iphone app and stuff like that, but really the main focus is on documenting more nature based experiences. The funny thing about sitting at the other end of a web server is that you really have no idea what people are thinking. I would love to hear any ideas, suggestions, thoughts on Wildwalk.com why not drop me an e-mail (matt at wildwalks dot com) or leave a comment below. As a hiker, geek and map lover, wildwalks is one of my fave sites! A proper topo map is still useful for harder walks, but otherwise the PDFs are fantastic! I haven’t tried using wildwalks.com from my phone (android based) yet, but I can imagine it could be quite useful, even if the website just made it easy to use from a phone. It might be useful in either case (desktop or phone) to integrate the tracks into a dynamic google map for planning or maybe even live navigation use, but as long as it doesn’t distract from the simple usefulness of how things work now. Hey Roger , thanks for dropping by. Now are you telling me you know how to do all that map integration stuff? If so, I bow at your feet! 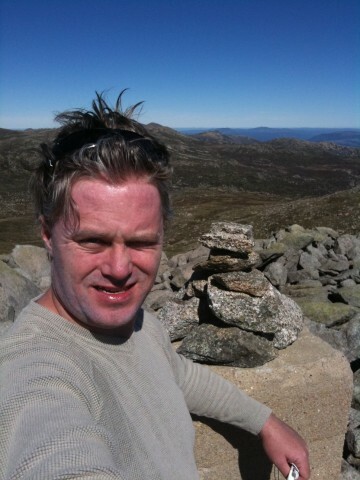 Maybe we need to collaborate on an app for Cradle Mountain day walks for our Cradlemountain.net site……. Hi Matt, great site my friend…I only wish I were down there to make good use of the data you’ve collected (currently based in Seattle, WA). I’m green with envy for James’ job…I hope he realizes that he’s living the dream! Let me know when you’re looking to expand your staff for coverage in other parts of Australia…looks like an extremely fun venture! Based on your vision for the business, how soon do you plan to branch out and start collecting/sharing data on walks in Victoria and Tasmania? 900 plus walks is pretty impressive for a small startup. How are you building your library? Do you have user driven data collection in addition to what James gathers or are you indexing from other sources? Mobile apps for hikers IS the next big frontier for the industry. The biggest challenge is allowing your users to be able to get useful data from their smartphone when they go out of cell coverage areas (where of course many of the really good walks are). There are a lot of companies experimenting with this right now. One of more notable is SPOT, LLC. They’ve created a device called the Connect which allows you to sync your smartphone with a satellite enabled receiver. The combination of the two devices gives the user the ability to transmit real-time lat/long coordinates (for family/loved-ones), send/receive text msgs, update social networks (Facebook, Twitter, etc. ), and send S.O.S. messages to emergency first responders. Pretty nifty device! In any case, loved the post and hope you will keep Frank and the rest of his readers up on how it goes as you continue to expand. Wildwalks is what has kept me in bushwalking the second time round. I won’t run out of walks for a long while, if Wildwalks is my only source. Matt your wife does a great job. I’ve never come across an atrocious spelling or grammar error ever! The track info is always correct, the only time I have misplaced myself, is when I haven’t read the notes correctly. The only enhancements that I can think of is a list new walks that have been recently added. Thanks for your kind words, very encouraging. I am working on it. It is slow as there are so many other things to do as well. Will probably end up with a cachable html5 type app so that you can use it on any device and take it off-line. Still some time off but I really like the idea. Got a few other features I am working on like a better search tool. I do hope to expand wildwalks to to cover Australia and NZ. I want to get each area right first before moving on to the next. I do not want to just have a handful of walks scattered around a state, I want to provide real options for a wide range of walkers. I love walking in Vic and Tas, much of my early and longer walking in the southern states, so I am keen to get down there and expand wildwalks. As you can appreciate it takes time and money, so I hope we can attract more sponsorship in time to make this possible. Time frames I do not know if I could afford it I would start today. I had a little play with a wiki style early on in wildwalks when still trying to come up with a model that works. The key for me was to have a high level of consistency and reliably with the data. It takes about 1 month, full time until a new ‘writer’ is comfortable with using the track grading system (AS 2156.1), mapping system, writing, photography and computer systems. Then the actual walking is not like a normal walking trip with your friends. It is still very enjoyable, but not something you can just do when on a walking trip with mates. We take more than 1000 photos a day, plus recording gradings and notes. After saying all this I think there is still scope a huge space for me to include the more crowd source info. Users provide heaps of helpful information to help keep info upto-date. I am also working on some new technologies that will help that even more. We have a wiki space that we use for collecting info on walks we are yet to do, this is definitely something I could open up in time. It would be helpful information for more experienced walkers and any extra contributions can help us better when planing to walk an area. Feedback is a big thing for me, it helps me consider how I can improve the way I do stuff here and make it better for more people. I am working on this, sounds easy but the way we walk to collect data means we do not always walk then whole walk on the same day or even month. I am working on a clean up and newly added walks will hopefully be part of the second phase of the new search tool I am working on. I think so. It is very hard work, long days at times (we generally walk 20-30km a day when in the field) but no complaints from me or James. I used to wear a suit and work for an insurance company – I did enjoy that and learned a lot from it, but gee wiz this is a great gob. The books have also been a great deal of fun. They are spun off the website, but there is just something about been able to hold a book in the hand, and what I have learned from doing the books feeds back to make the website better. Please stay in touch, fling me an e-mail when you have any ideas or thoughts, or if you are in Sydney lets grab a hot chocolate or go for a walk. Thanks for the additional information! Will definitely be knocking on your door the next time I’m in Sydney. I missed the time spent exploring the Blue Mountain when I was a student in Sydney. We don’t have similar colorful forest here in Malaysia. I really wish I could go back for a bushwalk trip in Australia next year.